Life in the country has tons of advantages–starry nights, fresh mornings, elbow room. When you live in the country, you have to pay attention to some everyday details that your friends in the city don’t worry about. One big consideration is mail–where are you going to have your mail delivered. If you want to pick it up at the post office, no problem. But if you want mail at your house, your will need to install a rural mail box. Select an appropriate box. Keep in mind two important factors: security and durability. You don’t want everybody driving down the road to help themselves to your mail-order movies. And you don’t want nit-wits to beat your box to a misshapen pulp. Choose a box that is sturdy and secure. Decide what you want to set the box on. You can build a heavy-duty mailbox post yourself. A cedar 4x4 usually works fine for this purpose. 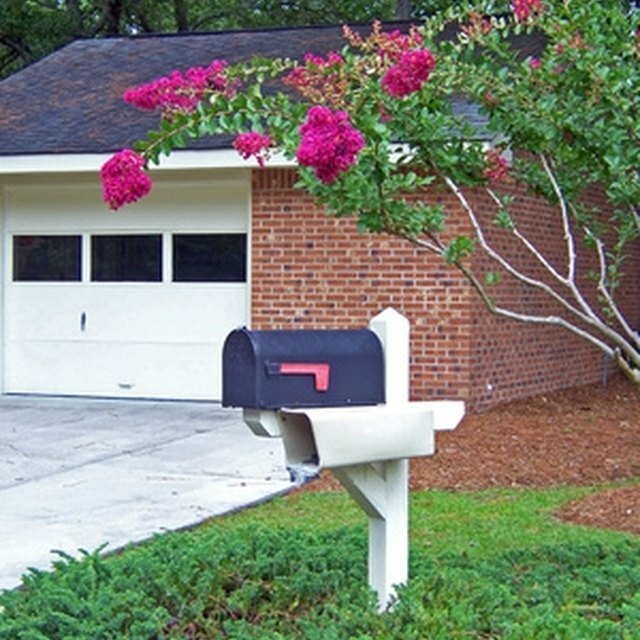 If you’re concerned about style, you can purchase a ready-made decorative mailbox post. Visit a local hardware store or do a web search using the keywords, “mailbox post.” Again, select something durable. To build your own post, decide how deeply you need to bury it to keep the mailbox from falling over. Cut your 4x4 to the proper lengths (several feet for the upright and probably 2 to 3 feet for the horizontal piece that you mount the mailbox on). Install a diagonal piece that extends from the end of the horizontal surface to the upright post for support. Dig a hole for the mailbox post, at least 3 feet deep. It is a good idea to mix some concrete in your post hole and put the post in a cement base–those little stinkers have a way of uprooting if they’re not tied down. The bottom of your box should be 41 to 45 inches from the surface of the road to help the letter carrier make deliveries. The US Post Office has a number of rules for installing a curbside mailbox; visit their website for all the information. Put your name and house number on the outside of your mailbox.